Filed to: MY MOOSE!! !Filed to: MY MOOSE!!! Moose #7 and I charged into battle. There was, however, a rather large foe I had never encountered before. When the machine spun his giant arms, Moose and I went flying. I recovered, lured the machines to me, and destroyed my enemies. After collecting the spoils of victory, I saw it. Moose #7 was lying on some rocks. Dead. 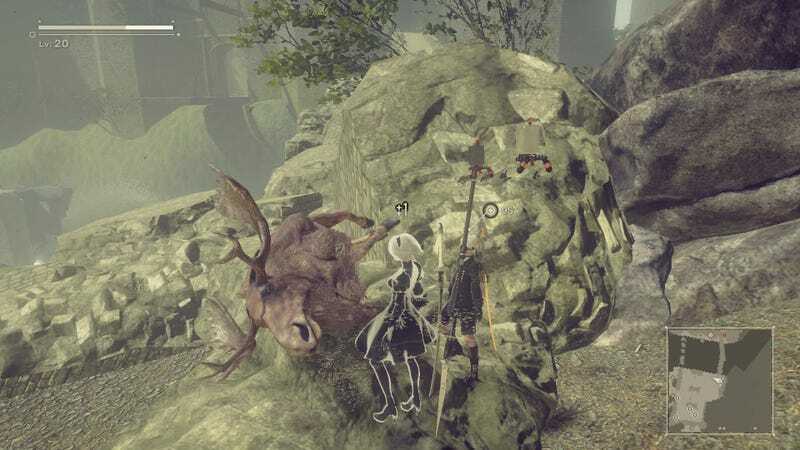 Think about the animals and NPCs in video games that you’ve killed—whether inadvertently or intentionally like the monster you are—please write their obituaries or tell their tales in the comments. In the last game you played, or are currently playing, which character is your favourite? Please say something nice about Moose. Taken too soon from this world.